YOUNG KARA ZOR-EL: Just like our heroine, This is Kara when she is 12 years old. We've seen young Kara in a few episodes which include flashbacks to Midvale and back on Krypton! She's had scenes with Helen Slater and Dean Cain! Young Kara is played by Malina Weissman & Izabela Vidovic. 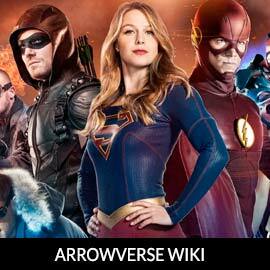 For more info on Kara Zor-El, check out our partners at ArrowverseWiki.